Just because a herb is natural does not mean it is safe. Some plants are highly toxic, or may have side effects when combined with other medicines. It is vital that your practitioner is well trained in the effects and indications for each herb and is best to use only registered practitioners. If you are taking any prescribed medication, always inform your practitioner and doctor before taking any herbal medicines. If prescribed by a qualified practitioner they should be safe, as long as they are taken at the prescribed dose and all other current medications have been mentioned by the patient. Herbs can become hazardous when they are given together with a drug that has a similar action e.g. Warfarin and Gingko, both of which are blood thinning agents. Many herbs are contraindicated in certain conditions and your practitioner should be aware of these an example: St. John’s Wort and anti-depressants. Many herbs recommended for hormone replacement mimic oestrogen and are not suitable for patients with a history of breast cancer or a pre-disposition to breast cancer. The more toxic herbs are scheduled and therefore unavailable, unless prescribed by a qualified practitioner or pharmacist. Many herbs these days are tested through scientific methods much like pharmaceutical drugs are, to show the action it has on the body, at what dosage it is safe and any side effects that are experienced. While we on the topic, if you are questioning the safety of herbs you should question the side effects of prescribed medications! 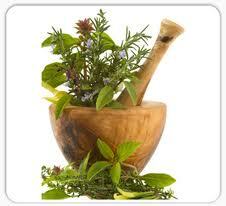 Herbs have been used for thousands of years whereas medicine a mere 50 or 60 years. In some countries as many as 20% of hospital admissions are caused by side effects of pharmaceutical drugs, compared to 0.35% admissions from side effects of herbal medicine. Dosage is very important with herbal medicine, as different strength decoctions or tinctures may have completely different actions e.g. Chamomile is soothing to the stomach in a low dose, but take a high dosage and you will most likely vomit! How long can I take herbs for? We have become used to “quick fixes” with modern medicine and that is one thing herbs are not. Herbs take a longer time to act on the body as they are working at the root of the problem, helping the body to heal, rather than just masking pain or other symptoms. The amount of time you can take herbal medicines depends entirely on the herb you are taking, you will have to consult your naturopath or herbalist about individual remedies and their actions. I trust this answers some of your questions. Have a magical week!